The G-V3GWDS is the latest vehicle tracker supporting the 3G (WCDMA) network.The G-V3GWDS features excellent and stable work performance. 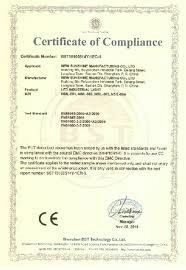 It used for vehicle tracking and fleet management. Roadragon with over 11 years specialize in R&D innovation, manufacturing superior GPS products in terms of GPS Personal Tracker, GPS Vehicle Tracker, GPS Tracking System and Integrated GPS Tracking Solutions. 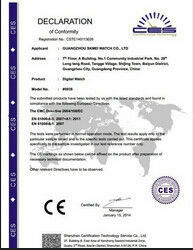 6, Temperature sensor: The terminal reserved a special sensor interface, you can add a temperature sensor. 9, Speed detection: Terminal supports to connect to the original car speed wire to detect vehicle speed. 10, Analog detection:Termianl supports detection on analog signal ,such as voltage. 11, Antenna cut, short circuit alarm: The terminal will upload the alarm message to platform when the GPS antenna is cut and short circuit situation. 12, Low Battery Alarm: When battery of vehicle is too low, the terminal will upload low battery alarm to platform. 13, Main power cutting alarm: When the external power is cut, the alarm message will be uploaded to platform. 14, OTA: Terminal Supports OTA. 15, Remote query and setting Parameters: Via SMS and platform to query and set parameters. 16, Blind spots recovery:When the vehicle enter an area without network or network signal, the terminal will stock present GPS locations information and send to server once network recovers . 17,GeoFence,Route: Download a fence or a Route to the GPS, alarm to the platform on the line when the vehicle import area or not . 18,Speeding Alarm:When vehicle speed over expected limits, device will send speeding Alarm and upload to platform. 19, Platform Remotely Engine Cut Off: Device supports remote engine cut off. 20, Platform reboot: restart GPS remotely by Platform. 21,Multiple interfaces: 4 high or low level input interface and 3 high or low level output interface . 22, Overturn, collision alarm: built-in sensors can send vehicle overturn, collision alarm. 23,mileage statistics:device can calculate mileage since install to vehicle. 24,Double SIM card slot : One SIM card work when another SIM card does not work with no signal. 2. All products warranty 2 years ! 5. Professional and patient gps tracker installing guiding. Payments :we accept paypal,/T/T /Western Union/HSBC, what is convenient for you? Please add my skype: xiao.gina or whatsapp: +86 15914083460 or wecchat:1107445458, i'm online all days for you !